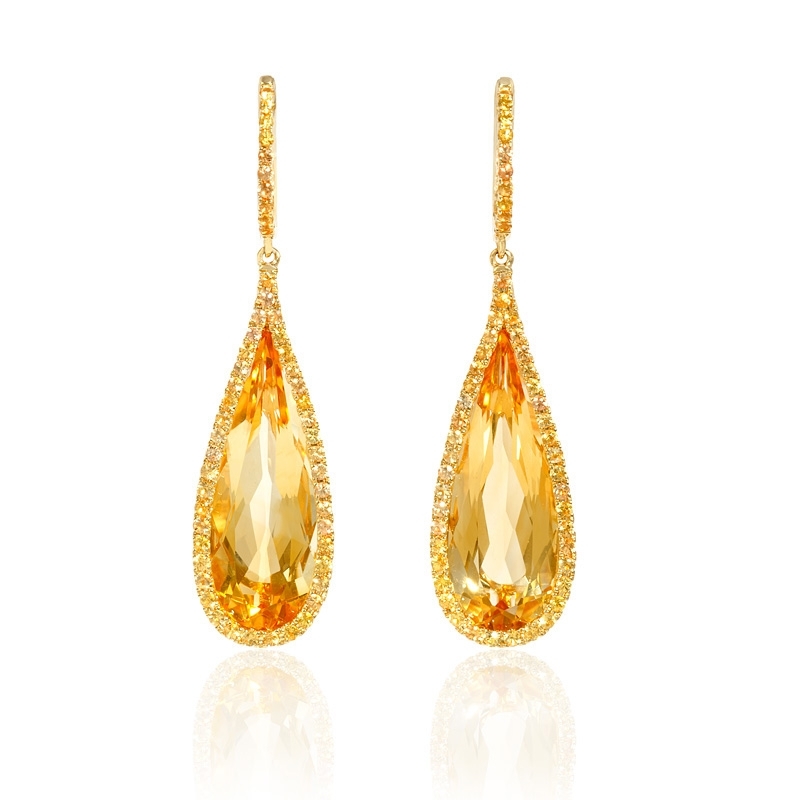 Gemstone Details: 2 Citrine stones, weighing 22.60 carats total with 104 yellow sapphires, of exquisite color, weighing 1.96 carats total. Measurements: 2.25 Inches in length and 13.5mm at the widest point. 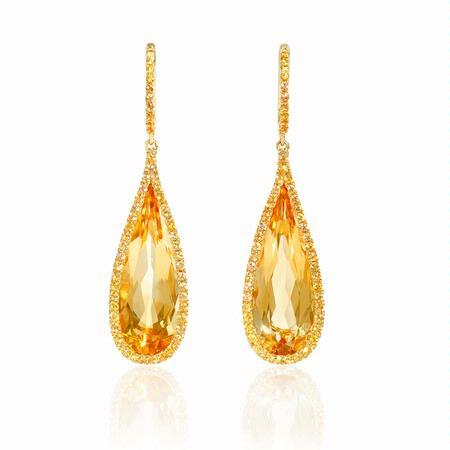 These marvelous pair of 18k yellow gold dangle earrings, feature 2 citrine stones, weighing 22.60 carats total with 104 yellow sapphires, of exquisite color, weighing 1.96 carats total. These dangle earrings contain hinged hoop backs. 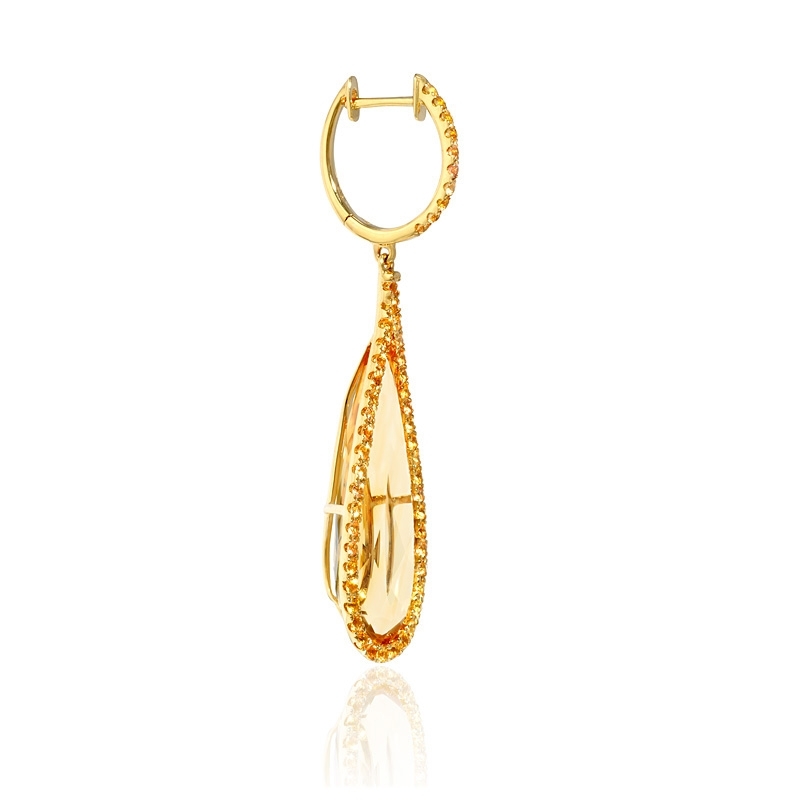 These dangle earrings measure 2.25 inches in length and 13.5mm at the widest point.